FORT LAUDERDALE/DAVIE, Fla. – More than 20 years ago, the official dates of May 6 – 12 were declared to honor and observe “National Nurses’ Week,” recognizing the valiant efforts of nurses every day across the country. South Florida philanthropists Ron and Kathy Assaf agree nurses deserve admiration for their hard work. 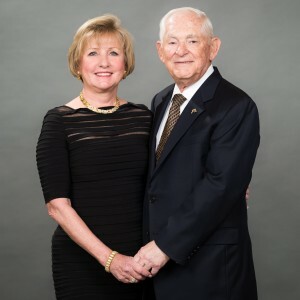 To show how they value the noble profession, the couple has made a gift to Nova Southeastern University (NSU) and the university will officially rename its College of Nursing as the Ron and Kathy Assaf College of Nursing. The naming ceremony will take place at noon Friday, May 11, at the Terry Building on the university’s campus, 3200 S. University Drive, Davie. Recently stepping down after 13 years as NSU Board Chairman, Ron Assaf, and his wife, Kathy, have a long-standing commitment to the university and Mr. Assaf will remain on the board. This gift will support scholarships for nursing students, provide faculty research support and bolster community service. In the past, the couple made donations that benefitted NSU undergraduate students, the Mailman Segal Center and research on myalgic encephalomyelitis (ME) research in the NSU Institute for Neuro-Immune Medicine. They are members of NSU’s Sharks Circle, which recognizes philanthropists who have given $1 million or more to the university. In 2012, NSU also acknowledged the Assafs’ commitment to the well-being of the entire South Florida community by honoring them with the prestigious NSU President’s Community Service Award. The dedication of NSU’s Ron and Kathy Assaf College of Nursing marks the end of an era for the university. Ron Assaf joined the NSU Board of Trustees on July 1, 1994. He served as Chairman of both the Executive and Finance committees before becoming Chairman of the Board on May 20, 2005. He officially stepped down as chairman on May 4, 2018 and will remain on the board. The NSU Ron and Kathy Assaf College of Nursing provides students classroom-based, hybrid, or online educational options, and the opportunity to study on the Ft. Lauderdale campus or at NSU’s Miami, Palm Beach, Ft. Myers, Miramar and Tampa regional campuses. 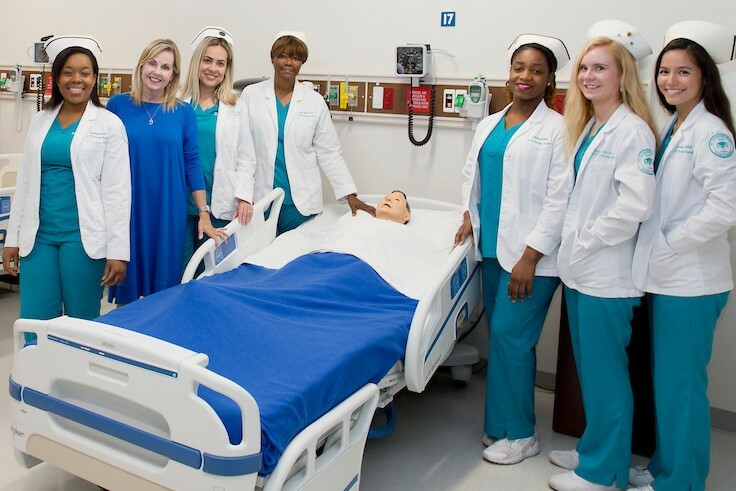 Clinical training far exceeds statewide requirements, giving NSU nursing graduates a definite advantage when they reach the workplace. Across all programs, there are a total of 1,713 students currently enrolled in the college. Ron’s career began in 1955 in the grocery aisles at Kroger, a retail food chain in Ohio. A decade later he used his retail management experience in co-founding Sensormatic Electronics Corporation, an Electronic Article Surveillance (EAS) company. In 1971, Ron moved the company to South Florida. He would later be recognized as the founder of the EAS industry. In 1996, Ron retired as CEO of Sensormatic, which by then was a NYSE listed company, and retired as chairman of the board in 2001 when it was purchased by Tyco International. At the time, Sensormatic served more than 80% of leading retailers worldwide with annual revenues exceeding $1 billion. South Florida raised, Kathy’s career in finance as a CPA began as an auditor with Arthur Young & Company and grew into Director of International Services after she joined Sensormatic in 1974. She became a founding Director of Boca Bank in 1984, and the following year received the Women of Distinction in Finance Award. Kathy was elected Chairman of the bank’s Board in 1993, and remained as a director after the bank was acquired two years later. Kathy served on the Board of the American College of Louvain (Belgium) for 17 years and was Chairman from 2001-2009. In 2005, Kathy was inducted into the University of Central Florida’s Business Hall of Fame. Kathy served on the Board of Trustees of Saint Andrew’s School where the couple are Founders Society members and where she has since been named a Trustee Emerita. They also are founding members of, and active parishioners at, St. Jude Catholic Church in Boca Raton, where Kathy served as Chairman of the Finance Committee for 18 years. She presently is the Chairman of the Finance Committee for the Catholic Diocese of Palm Beach and a Director of the Franciscan Foundation for the Holy Land. Ron served as a Trustee of the Boca Raton Regional Hospital for 23 years and as Chairman of the Board for four years. They endowed the Ronald and Kathleen Assaf Center for Nursing Excellence at Boca Raton Regional Hospital, which recruits, trains and helps retain critically needed nurses. Sensormatic’s success enabled the Assafs to act upon their philanthropic goals for nearly four decades. Along the way, Ron has been honored with numerous awards for business and philanthropy, including The Ellis Island Medal of Honor, the National Center for Missing and Exploited Children’s Rainbow Award, the National Conference of Christians and Jews Silver Brotherhood Medallion, and the Lifetime Achievement Award from the American Electronics Association. Three universities have also conferred Honorary Doctorates. The Assafs further support higher education with endowments at Lynn University, Florida Atlantic University, and the University of Akron, as well as sponsoring scholarships for students living in the Holy Land through the Franciscan Foundation. They are proud of their five children, 12 grandchildren and two great-grandchildren.